The issue of mobilising biomass feedstocks in a sustainable and resource efficient manner remains of vital importance for policy and industrial actors across Europe. Firstly for meeting the targets in the Renewable Energy Directive to a low carbon energy system for 2020 and beyond. Secondly, to foster in the same time the sustainable development of the European bio-based economy and meeting the objectives of the Bio-Based Industries (BBI) Joint Undertaking to contribute to a more resource efficient and sustainable low-carbon economy and to increasing economic growth and employment, in particular in rural areas, by developing sustainable and competitive bio-based industries in Europe, based on advanced bio-refineries that source their biomass sustainably. Up to date, most of the recent studies and initiatives conclude that biomass supply is a missing pillar in achieving progress in the energy and non- energy sectors of the bioeconomy. The S2Biom project aims to support decision making for the sustainable delivery of non-food biomass feedstock at local, regional and pan European level through developing strategies, and implementation plans that will be informed by a “computerized and easy to use” toolset (and respective databases) with updated harmonised cost supply datasets at local, regional, national and pan European level for EU-28, Western Balkans, Moldova, Turkey and Ukraine. During the first year of the project major emphasis has been given at harmonising datasets, ensuring good quality and traceability of data and providing the essential interfacing of the various modelling frameworks which will form the basic structure of the S2Biom toolset. In this S2Biom newsletter issue, we would like to give a brief update on the progress of the toolset, and invite you to contribute to our advanced and strategic case studies. The newsletter will also include synergies with other projects and events announcement. 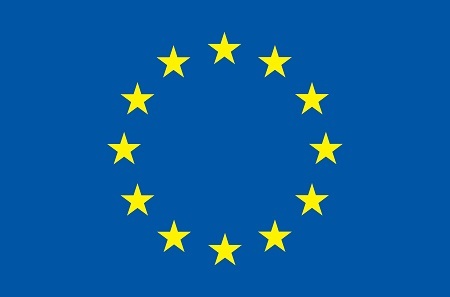 S2Biom is co-funded by the European Union within the 7th Frame Programme. Grant Agreement n°608622. The sole responsibility of this publication lies with the author. The European Union is not responsible for any use that may be made of the information contained therein. The first version of the toolset has been released to the project partners for comments on September 2014 and the following section provides a description and insights to its main functionalities. The entire tool will be publicly available by the end of the project and substantial parts of it already early next year. 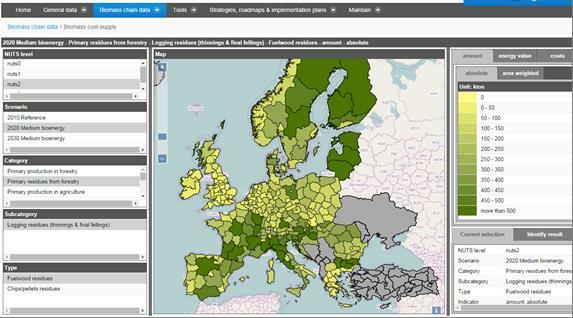 The toolset aims to provide an easy access to a systematic, visually attractive and readily understandable spatially specific overview of data on biomass cost-supply, characteristics of conversion and pre-treatment technologies, biomass hubs and yards and matching biomass to technologies, market demand and policies for biomass for bioenergy and biobased products. It also provides optimal design and evaluation of biomass delivery chains and networks at local, regional, national and European scale in EU-28, Western Balkans, Ukraine, Turkey and Moldova at regional, national and European wide scale. At this stage the website of the toolset has been created and can be accessed at www.biomass-tools.eu. The figure below shows the different sections. For the moment the different sections and subsections include only an explanation on what will be included in the future. Only project partners have access to all currently available functions, which enables them to test them in support of the further development. An overview of the different sections of the toolset and what has been developed until now are presented in this newsletter as this provides a good overview of the progress made and of the envisaged final toolset that will be provided by the project. The Home section provides information about the S2Biom project and information about the tool box. It may also provide short descriptions of the different tools (to be) included. Regulatory & financial framework: Data on policies will be viewed here. At this moment the database is half-filled and will be included into the GUI and made accessible through a viewing and download tool. Biomass demand: This section will provide access to the demand analysis results assessed with the ReSolve model taking account scenario specifications and specific EU and national targets for renewable energy production by 2020/2030. Logistical components: This section gives access to the database on logistical components. The GUI includes a list of parameters for pre-treatment, storage and transport technologies that are needed to deliver biomass feedstock of a specified quality at the correct moment to a processing technology. The main categories of the logistical components include comminution (size reduction), compaction / densification, drying, feedstock handling, harvesting/collection and other pre-treatments. More than 200 logistical components were included in the GUI. Value chain sustainability: This section gives access to the indicators and guidelines for assessing the overall sustainability performance for bioeconomy value chains. This should cover both quantifiable sustainability indicators and also overall sustainability performance of a chain. The Joint Research Centre (JRC) of European Commission (EC) has completed “The Methodology for life-cycle based environmental sustainability assessment of non-food biomass value chains”, but the related data are not yet integrated. It is designed as a user friendly tool to assess the environmental sustainability of non-food bio-based products and their supply chains, using a life-cycle perspective. It is largely based on the Product Environmental Footprint (PEF) method developed by the JRC in close cooperation with the Directorate General for the Environment (DG ENV). The methodology represents a comprehensive, science-based method able to provide quantitative understanding of a wide range of environmental aspects. It can be used to conduct comparative environmental assessments of non-food bio-based products along their supply chains. Applying the methodology can help identifying existing gaps in data and/or information availability, thus bringing useful insights to the understanding of the product-system being assessed. In the upcoming months, the S2Biom Consortium will launch Advanced and Strategic Case Studies to fine-tune and further upgrade datasets, to complement the development of Strategies & Roadmaps with the conditions of concrete regions in a bottom-up fashion, and to validate the Toolset through a top-down application to specific contexts. While Advanced Case Studies will mainly be implemented in EU-28, building on synergies with other projects and ongoing initiatives, Strategic Case Studies will be performed in areas with lower biomass supply and logistics development and relatively poor availability of data. The latter will address a set of wider, more strategic aspects, focusing also on the involvement of respective stakeholder groups. The first Strategic Case Study will be implemented in the Autonomous Province of Vojvodina (Serbia) and will contribute to assessing current and potential availability of agricultural and forestry residues, and logistic options. Preliminary arrangements are being made for the implementation of a similar activity in the Ukraine. To present the country analysis profiles, discuss their outputs and integration to the related research of the S2Biom project (in terms of policy and strategy formation). A briefing on the current status of Benchmarking and gap analysis of criteria and indicators for legislation, regulations and voluntary schemes at international and EU level, and in selected EU Member States) and an outlook to Consistent Cross-Sectoral Sustainability Criteria & Indicators and guidelines for evaluating bioeconomy value chain sustainability performance in the toolset development will be given as well. The proceedings and the presentations of the workshop will be available on S2Biom and JRC website. The second consortium meeting of S2Biom was organised by FNR in Vantaa in Finland on the 18th and 19th September 2014 with support from Metla.The two-day event informed the partners about the current status of the project and was successfully used for the coordination and organization of work which must be done in the beginning of the second year of the project. The completion of the database prototype as part of the first working theme is emphasized as a milestone of the first project year. This database is a core of the project and will be further developed with the support of key stakeholders and project partners and will be adapted to their needs. The aspects summarized in the second theme package sustainability, application scenarios and optimization of the value chain are the focus of the second project year and will be further developed and edited in cooperation with other EU projects (e.g. "BiomassPolicies", "BERST" and "BioTrade2020+").